Need a reason to attend the Beef Cattle Producer’s Meeting on February 9th? 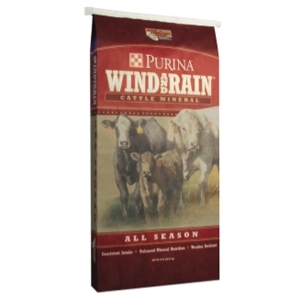 Purina and Cargill are offering a Buy 9, Get 1 Free promotion on cattle mineral for individuals who attend the meeting. Speakers include Purina and Merial representatives and meals are provided. RSVP for the event at the Kimbro Center on February 9th, 2015 at 6:30pm. Call the store at (936) 348-2235 or sign up on line here. This entry was posted on Sunday, February 1st, 2015 at 6:49 pm	and is filed under News & Updates. You can follow any responses to this entry through the RSS 2.0 feed. Both comments and pings are currently closed.